European Pharmaceutical Review has been keeping the industry informed for 21 years and continues to bring insights into current and emerging technologies, contributions from recognised figures in the life science community and of course, the latest and most up to date news. To celebrate our success, we will be counting down with our bi-monthly feature: The top 21 that will rank the industry. So join us for the first instalment The top 21…richest pharma companies. And check back for more exclusive online content next month, too. So, here we go! Kicking off the list at #21 is American lethal injection and epipen manufacturer Mylan who came under fire in May last year for the latest price increase of their epipen, which sent the list price over $600 for a pack of two. 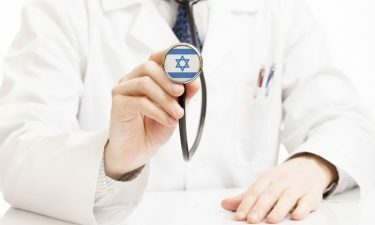 With no competition, as the FDA had recently delayed a prospective competitor offered by Teva, Mylan was the only readily available option for most consumers and therefore could monopolise the market and increase prices. There’s no reason an EpiPen, which costs Mylan just a few dollars to make, should cost families more than $600. Senator Bernie Sanders tweets out an NBC news story reporting a 400% increase in the cost of EpiPen over seven years amid stirrings of discontent against the life-saving allergy drug’s manufacturer, Mylan. In January of this year, the US Food and Drug Administration (FDA) accepted Mylan and Biocon‘s biologics license application for MYL-1401O, a proposed biosimilar trastuzumab, which is indicated to treat certain HER2-positive breast cancers. 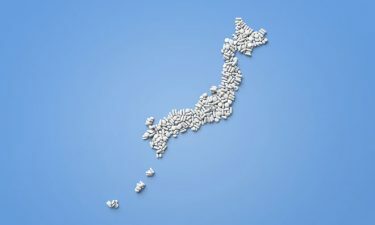 A Japanese pharmaceutical company, formed from the merger of Yamanouchi Pharmaceutical and Fujisawa Pharmaceutical in 2005, Astellas continues to sell and merge with other companies and R+D facilities to expand their pipeline of products in the areas of urology, immunology, dermatology, cardiology, and infectious disease. In February last year, Astellas Pharma announced that James Robinson had been appointed president of Americas Operations. 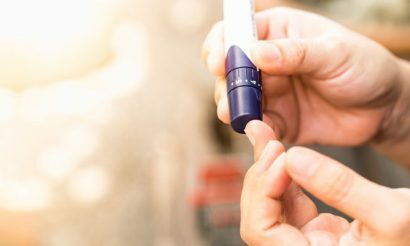 In August last year, Novo Nordisk confirmed that the Scottish Medicines Consortium (SMC) has now recommended Tresiba (insulin degludec) to treat Scottish NHS patients living with diabetes. Initially refusing to recommend the drug, the institution finally reconsidered after a second submission of evidentiary data. In September 2016, the European Commission (EC) approved the expanded use of Novo Nordisk’s xultophy, a combination of a long-acting basal insulin (Tresiba [insulin degludec]) and a glucagon-like peptide-1 (GLP-1) receptor agonist (Victoza [liraglutide]) in one pen, to treat adults with type 2 diabetes and moderate renal impairment. Formed in 1885, the German company Boeringer Ingelheim’s key assets of interest are respiratory diseases, metabolism, immunology, oncology and diseases of the central nervous system. Boehringer Ingelheim is involved in publicly funded collaborative research projects with other industrial and academic partners. One example in the area of non-clinical safety assessment is the InnoMed PredTox. At ESMO last year, Boeringer announced the results of their Phase IIb head-to-head trial, which showed a reduced risk of NSCLC death. 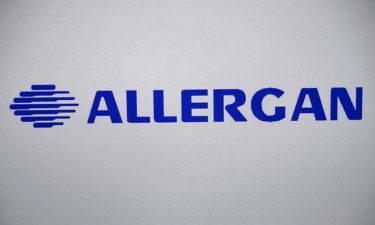 In June, the US Food and Drug Administration (FDA) approved Allergan’s Byvalson (nebivolol and valsartan) 5 mg/ 80 mg tablets for the treatment of hypertension to lower blood pressure. Following this, the FDA cleared Allergan’s XEN Glaucoma Treatment System (consisting of the XEN45 Gel Stent and the XEN Injector) for use in the US. In October last year, results of a Phase 2b clinical trial assessing the efficacy and safety of relamorelin (RM-131), Motus’ ghrelin agonist, for the treatment of gastroparesis in patients with type 1 and type 2 diabetes has led to Allergan exercising its option to acquire Motus Therapeutics. 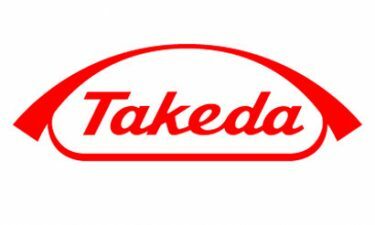 Takeda is the largest pharmaceutical company in Japan and Asia and is focused on metabolic disorders, gastroenterology, neurology, inflammation and oncology. In January 2012, Fortune Magazine ranked the Takeda Oncology Company as one of the 100 best companies to work for in the United States. In April 2015, Takeda agreed to pay a settlement of $2.37 billion to an estimated 9,000 people who submitted claims alleging that pioglitazone was responsible for giving them bladder cancer. In August 2016, Takeda and Seattle Genetics announced positive data from trial for cutaneous T-cell lymphoma. In addition, Takeda & TiGenix announced Perianal Fistulas trial treatment results for Crohn’s disease. Then, at the end of 2016, Takeda makes €10 million equity investment in TiGenix. Bristol-Myers Squibb, often referred to as BMS, is an American pharmaceutical company, headquartered in New York City. 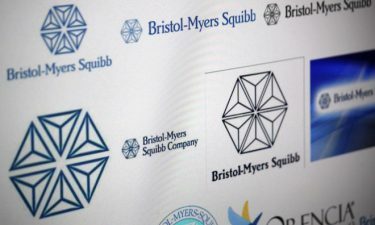 Bristol-Myers Squibb manufactures prescription pharmaceuticals in several therapeutic areas, including cancer, HIV/AIDS, cardiovascular disease, diabetes, hepatitis, rheumatoid arthritis and psychiatric disorders. In November 2016, the US Food and Drug Administration (FDA) has approved Bristol-Myers Squibb’s Opdivo (nivolumab) injection, for intravenous use, for the treatment of patients with recurrent or metastatic squamous cell carcinoma of the head and neck (SCCHN) with disease progression on or after platinum-based therapy. 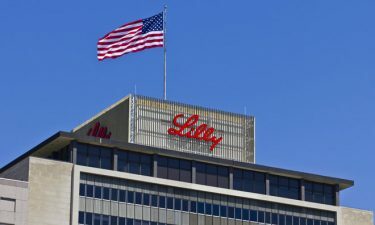 Indianapolis-based pharmaceutical giant Eli Lilly laid out an ambitious R&D agenda for launching up to 20 new drugs by 2023 during an investor presentation in May 2016. The company also said it hopes to add a significant number of uses for its existing therapies in order to bolster those drugs’ market strength. Lilly said that it would be focusing on key franchises such as diabetes, oncology, and neurodegenerative diseases like Alzheimer’s and add immunology to its roster of core therapeutic spaces. In addition, the firm hopes that its emerging focus on non-opioid pain therapies will become fertile ground for new drugs. At the start of this year, Eli Lilly announced their plans to acquire pain biotech CoLucid for $960 million. In January 2017, the US Food and Drug Administration (FDA) has extended the review period for Eli Lilly and Incyte’s new drug application for investigational baricitinib, a once-daily oral medication for the treatment of moderate to severe rheumatoid arthritis (RA). Teva Pharmaceuticals is an Israeli multinational pharmaceutical company headquartered in Petah Tikva, Israel. 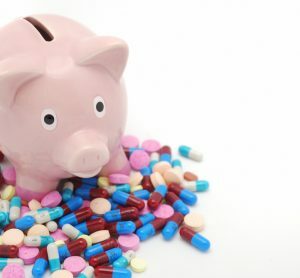 It specialises primarily in generic drugs, but other business interests include active pharmaceutical ingredients and to a lesser extent proprietary pharmaceuticals. It is the largest generic drug manufacturer in the world. In November last year, the EC approved Teva’s Acute Promyelocytic Leukaemia drug. It marked an important advancement in treatment for Acute Promyelocytic Leukaemia (APL) patients in Europe, as it is the first time that a form of acute leukaemia can be effectively treated with a regimen that is entirely chemotherapy-free. The European Commission also granted marketing authorisation for their asthma drug, Cinqaero (reslizumab) in the 28 countries of the European Union (EU) in addition to Norway, Liechtenstein and Iceland. Back in July last year, UCB and Amgen announced the submission of a Biologics License Application (BLA) to the US Food and Drug Administration (FDA) for romosozumab, an investigational, monoclonal antibody for the treatment of osteoporosis in postmenopausal women at increased risk of fracture. Then, in November, results from UCB and Amgen’s Phase 3 BRIDGE study showed that in men with osteoporosis, the investigational agent romosozumab resulted in significant bone mineral density gains at the lumbar spine, total hip and femoral neck compared to placebo at six and 12 months. The US Food and Drug Administration (FDA) granted breakthrough therapy designation (BTD) for AbbVie‘s investigational, pan-genotypic regimen of glecaprevir (ABT-493)/pibrentasvir (ABT-530) (G/P) for the treatment of patients with chronic hepatitis C virus (HCV) who failed previous therapy with direct-acting antivirals (DAAs) in genotype 1 (GT1), including therapy with an NS5A inhibitor and/or protease inhibitor. In November, AbbVie announced high SVR12 rates with 8 weeks of treatment with the regimen glecaprevir (ABT-493)/pibrentasvir (ABT-530) (G/P) across all major chronic hepatitis C virus (HCV) genotypes. In other parts of the world, the European Committee for Medicinal Products for Human Use (CHMP) granted a positive opinion for AbbVie’s Venclyxto (venetoclax) tablets for the treatment of patients with difficult-to-treat chronic lymphocytic leukaemia (CLL). 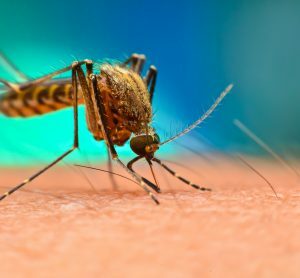 In August, Pfizer announced that it had entered into an agreement with AstraZeneca to acquire the development and commercialisation rights to its late-stage small molecule anti-infective business. 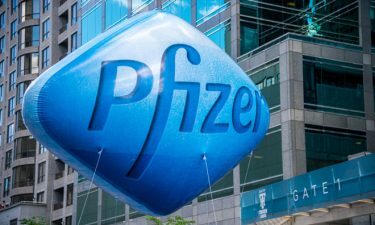 Under the terms of the agreement, Pfizer will make an upfront payment of $550 million to AstraZeneca upon the close of the transaction and a deferred payment of $175 million in January 2019. In addition, AstraZeneca is eligible to receive up to $250 million in milestone payments, up to $600 million in sales-related payments, as well as tiered royalties on sales of zavicefta and ATM-AVI in certain markets. 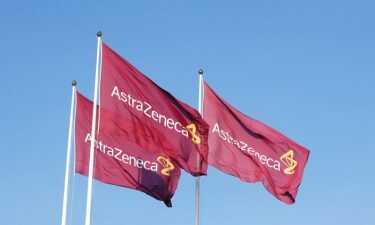 In November, the US FDA lifted the partial clinical hold on the enrolment of new patients with head and neck squamous cell carcinoma (HNSCC) for AstraZeneca’s clinical trials of durvalumab as monotherapy and in combination with tremelimumab or other potential medicines. 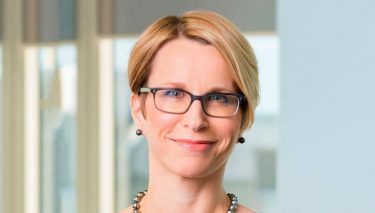 GSK announced that Emma Walmsley, currently CEO of GSK’s Consumer Healthcare division, is appointed GSK CEO Designate and will succeed Andrew Witty as GSK CEO, when he retires on 31st March 2017. 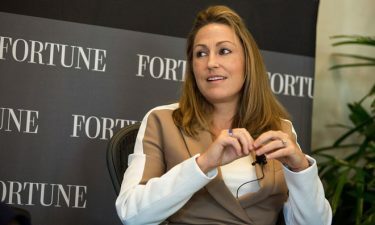 She will be the first female CEO of a major global pharmaceuticals company. 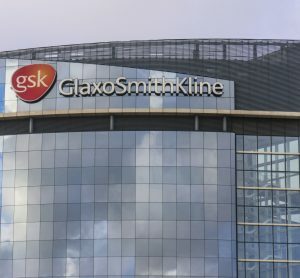 A new collaboration, announced in Autumn last year, between the University of Leicester and global pharmaceutical company GlaxoSmithKline (GSK) aims to discover and develop novel medicines to treat aggressive forms of blood cancer. Gilead Sciences is an American biopharmaceutical company that discovers, develops and commercialises therapeutics. For many years since the company was founded, the company concentrated primarily on antiviral drugs used in the treatment of HIV, hepatitis B, hepatitis C, and influenza. In 2006, Gilead acquired two companies which were developing drugs to treat patients with pulmonary diseases. 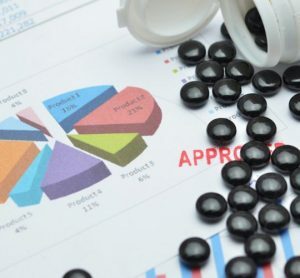 The EMA’s Committee for Medicinal Products for Human Use (CHMP) has adopted a positive opinion on Gilead’s Epclusa for the treatment of chronic hepatitis C virus (HCV) in May last year. Then, in January this year, Gilead Sciences’ marketing authorisation application for the investigational regimen of sofosbuvir 400 mg, velpatasvir 100 mg, and voxilaprevir 100 mg (sof/vel/vox) for the treatment of chronic hepatitis C virus -infected patients was fully validated. It is now under assessment by the European Medicines Agency (EMA). In August last year, a new cancer drug therapy, Keytruda, manufactured by Merck, known outside the US as MSD, was approved by the US Food and Drug Administration (FDA) for the treatment of patients with recurrent or metastatic head and neck squamous cell carcinoma (HNSCC) with disease progression on or after platinum-containing chemotherapy. Then, in October, the drug discovery company, Apitope, regained global rights to its compound, ATX-MS-1467, a potentially disease-modifying therapy for the treatment of multiple sclerosis (MS). Under the agreement with Merck, Apitope will regain all rights and clinical data associated with its compound ATX-MS-1467, which just completed a Phase II clinical trial. December 2016, the Scottish Medicines Consortium (SMC) accepted Sanofi Genzyme’s Jevtana (cabazitaxel) for routine use in NHS Scotland for the treatment of metastatic hormone-refractory prostate cancer. 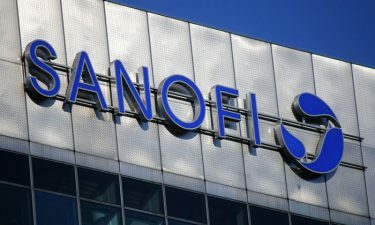 At the start of this year, Sanofi and its vaccines business unit Sanofi Pasteur announced that they will end their vaccine joint-venture with MSD (known as Merck in the US and Canada). Their product Soliqua 100/33 (insulin glargine 100 Units/mL & lixisenatide 33 mcg/mL injection) is now available by prescription in US pharmacies. It was also approved by the European Commission. In October 2016, the FDA approved Roche’s blood screening assay for donor screening. 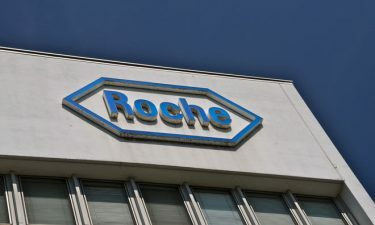 It also approved Roche’s immunotherapy assay to support treatment decisions in lung cancer around the same time. In the UK, a discount to the price of pertuzumab agreed with the company was an important factor in enabling NICE to overturn its earlier provisional decision not to recommend the drug for treating HER2-positive breast cancer, for which is now has the green light. In December 2016, NICE published draft guidance not recommending breast cancer drug trastuzumab emtansine (also called Kadcyla and made by Roche) because it does not work well enough to justify its high cost, even with the patient access scheme offered by the company. Headquartered in New York City with its research headquarters in Connecticut, Pfizer is a global Corporation and in 2015, generated total revenue nearly $50 billion. It was founded in 1849 by Charles Pfizer and Charles Erhart in Brooklyn, New York, where they produced an antiparasitic called santonin. Today, Pfizer produces pharmaceutical products for a wide range of medical sectors including immunology, cardiology, and neurology. It is most recognised for Viagra, an oral treatment for erectile dysfunction. Pfizer made itself the largest pharmaceutical company in the world in large part by purchasing its competitors. In the last dozen years it has carried out three mega-acquisitions: Warner-Lambert in 2000, Pharmacia in 2003, and Wyeth in 2009. Then, in 2015, Pfizer announced a $160 billion deal to merge with Allergan and move its headquarters to Ireland in a bid to avoid paying taxes but subsequently had to abandon the plan. Novartis is a Swiss multinational pharmaceutical company based in Basel, Switzerland. It manufactures such drugs as clozapine (Clozaril), diclofenac (Voltaren), carbamazepine (Tegretol), valsartan (Diovan) and imatinib mesylate (Gleevec/Glivec). In November 2016 the company announced it would acquire Selexys Pharmaceuticals for $665 million. In December, the company acquired Encore Vision, gaining the company’s principle compound, EV06, is a first-in-class topical therapy for presbyopia. 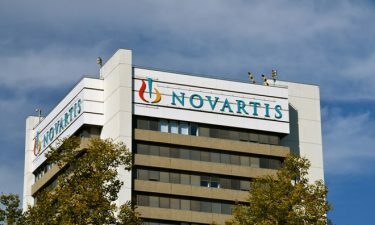 In December, Novartis’ NSCLC study showed 16.6 month progression-free survival, compared to 8.1 months in patients treated with standard chemotherapy. However, later in December, they revealed that their two pivotal Phase III clinical studies, did not meet their primary endpoints of superiority for the pegpleranib and ranibizumab combination therapy, measured as best corrected visual acuity in terms of additional letter gains over ranibizumab monotherapy, for the treatment of neovascular age-related macular degeneration (nAMD). German chemical giant Bayer’s $66bn (£50bn) deal to buy controversial US agrochemical giant Monsanto and create the world’s largest seeds and pesticides company is “a threat to all Americans” and should be blocked, said Bernie Sanders. Monsanto is known for its controversial monopoly of their industry via genetically modified organisms (GMOs). The proposed deal, arguably the biggest corporate takeover deal of 2016, follows a wave of consolidation in the seeds and agriculture industry and has raised concerns among politicians, scientists, regulators, farmers and activists who called the deal a “marriage made in hell”. In September 2016, the National Institute for Health and Care Excellence (NICE) issued draft final guidance recommending radium-223 dichloride (Xofigo, Bayer) as an option for treating prostate cancer. 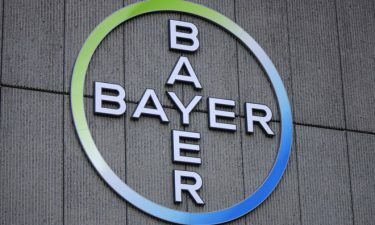 In January this year, the US Food and Drug Administration (FDA) granted priority review status for the supplemental new drug application for Stivarga (regorafenib, Bayer), as a second line systemic treatment of patients with hepatocellular carcinoma (HCC) in the US. Topping our list at #1 is Johnson and Johnson, who operate over 250 companies in what is termed “the Johnson & Johnson family of companies”. The company operates in three broad divisions; Consumer Healthcare, Medical Devices and Pharmaceuticals. Stretching far beyond pharmaceuticals, Johnson & Johnson’s brands include numerous household names of medications and first aid supplies. Among its well-known consumer products are the Band-Aid Brand line of bandages, Tylenol medications, Johnson’s baby products, Neutrogena skin and beauty products, Clean & Clear facial wash and Acuvue contact lenses. In February 2016, J&J was ordered to pay $72 million in damages to the family of Jackie Fox from Birmingham, Alabama, who died of ovarian cancer last year, aged 62, having used the talc for decades. Her family argued that the firm knew of talc risks and failed to warn users. J&J denied the claim and is said to be considering an appeal. Researchers say links with ovarian cancer are unproven. Johnson & Johnson has set several positive goals to keep the company environmentally friendly and was ranked third among the United States’s largest companies in Newsweek’s “Green Rankings”. Some examples are the reduction in water use, waste, and energy use and an increased level of transparency. 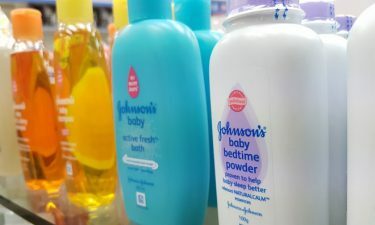 Johnson & Johnson agreed to change its packaging of plastic bottles used in the manufacturing process, switching their packaging of liquids to non-polycarbonate containers. That’s it for our first instalment of ‘The Top 21…‘ Check back next month for more exclusive online content to celebrate our 21st birthday!